I have always been a good girl. To be honest, I never even considered not being a good girl. I was born into a good family. We went to church at least three times a week. Bad behavior was not tolerated, not for a minute--not at home, not at school, not at church. So I was the quintessential good girl. I wasn't a pretty girl. I was a smart girl and a very good girl. I was the one who made all A's, who was a trusted babysitter and club treasurer and youth group member. I never skipped class, I never blew off a test, I never was tardy. I went to college and continued right along the same path. I was smart and I was good. I never skipped class, I never blew off a test, I never was tardy. By the beginning of my senior year I was engaged to a good boy. I got married right after graduation and began my adult life of being a good woman. And finally all I had was the trying hard. The "good life" I had always wanted had eluded me. I was blessed in many ways, but I was never able to enjoy those blessings. When things went wrong, I just tried harder to make them work. Finally, I was exhausted. I went through a crisis in my marriage and a deep depression. After years of mightily striving to please God, to please my parents, to please my husband, to please my bosses, to please my children, to please my friends, to please everyone around me, I finally realized that I was not good enough. You see, that's the problem of being a good girl. Being a good girl seems smart. It seems wise. More than anything else, it seems safe. But being a good girl comes with an unrelenting problem: the good girl can never be good enough. My friend Emily Freeman has written a book about this very thing. You might have seen it. It's called Grace for the Good Girl. From her own personal experience and from working with hundreds of girls over the years, Emily has a deep understanding of what it's like to work under the heavy burden of trying to be good enough. Her book unpacks the myths of the try-hard life. She explores the various ways those myths can develop in our lives. She exposes them for the enslaving traps they really are. And she points to the only way to freedom: through Jesus Christ. When I first discovered how deeply enslaved I was by my own good-girl myths, I desperately wanted to escape them. But even with the myths exposed, the journey from the good girl's slavery to true freedom in Christ can be long and arduous. Old habits die hard. Patterns developed early in life aren't easy to alter. But Emily's book is a good and reliable guide for the trip. Like a compass that always points North, Emily's book points steadfastly to the polestar of the Spirit. Rather than pretending that the trip will be easy, Emily offers hope that the journey is worth making and assurance that freedom is attainable. How I wish I'd had this book a few years ago. But at least I have it now. And if I start to slip back into those old ways, I'll have a roadmap for the way out. If you're like me, you need this book. I urge you to obtain a copy. In fact, I'm giving a copy away. Emily's publisher, Revell (a division of Baker Publishing Corporation), has kindly provided a copy for me to give away to a reader. Simply leave a comment to enter the giveaway. 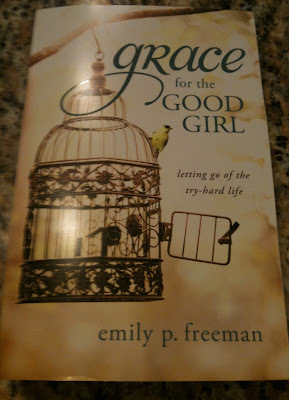 God is using Emily's book to impart grace. If you don't win a copy of it, you can find it at Amazon, Barnes and Noble online, or at your favorite bookstore. You'll be so glad you read it. Now, do you have any stories to tell of how God has imparted grace in your life? Will you share the story of a gift you've received from God's hand? It can be large or small--I'd love to hear about it! Click here to read all about this new linky party celebrating God's gifts to us. Help yourself to a button and help me spread the word. This is a great giveaway! I would love to read this book. Thank you so much for hosting this party Richella and giving us all a place to share our hearts and our faith. You are a blessing! I am a reader of Emily's sisters blog, The Nester. So, I've sort of been following this story about her new book being published. She's such a great writer. I haven't read the book yet. I enjoyed seeing The Nesters post about a book signing party at her house. I'll have to go check out the book for sure. Years of pleasing & care-taking is taking a toll on my life... overwhelmed at the moment. Thanks for the review & the chance at getting this book.. I too, if not winning it, will go & look for it.. I think I am still living the "try hard life". I didn't grow up in a Christian home, but most of my life I've been trying to proof myself. I already have a copy of the book, but would love to win another copy for a friend. I could have written the first few paragraphs of you post...which means I totally need to read this book! I just started the book Radical, but I'm adding this one to my list for sure! When you described being a good girl, Richella, I felt as though you were describing me. I've always been an over-achiever, a perfectionist, a person who wants to make sure everyone is happy and taken care of (and, therefore, pleased). As God presented me with new roles in life (wife, mother, and different variations of my work life), I continued to try to please, to be the good girl I had always been. And there have been times when my world has come crashing down because my good girl attitude wasn't working. I can point to the years it happened and then the dark, dark years that followed or in which I find myself now. So I'd love this guidebook to help me dig myself out of the deep hole and see the light each minute of each day again. For, although I can see it at times, sometimes I do not. I'd ask your indulgence to request you, as well as your followers, pray for my children and for me; we need God's strength. beautifully put. Thank you! I'd love to read This book. I too have always been a good girl... struggling with why am I good but not ever good enough? Thanks for offering this giveaway! This is me! I'd love to read this book, too! This has been on my to-read list, but I haven't gotten it yet. It sounds amazing! Oh my goodness, as I was reading your story I thought you were writing my story! I'm the quintessential GOOD GIRL. I have even strived for grace! I want to learn how to live in grace. This book sounds like it was written for me. I would love to be entered to win the book, as I have also been afflicted by the dreaded "good girl syndrome" for most of my adult life! May you and your family have a beautiful week! Goodness, you've described me to a T. I think I need to read this book! I would love to win this book and i strongly believe i need to read it. Blessings abundant to you! Thanks for your honesty and vulnerability here, my friend. The more I read about Emily's book, the more I think I need to read it. I AM a good girl. I try so hard to please everyone around me. And yet, I fail. Thanks be to God for His good grace. I would be interesting in reading that book...and I would use it as a source to minister to others! Have a good day Richella! every single word you wrote could have come from my heart. It is amazing how we women seem to grab onto being perfect and never let it go. Maybe there is hope for that...I would love to read this book...and then pass it on. This would be a good book for a good girl like me. I am desperate to know Him more and His purpose in my life. I just ordered the book on my kindle but I'd love a hard copy. I haven't read it yet but I already feel like it was written for me. Everything you described, Richella, is me. Good girl in high school. Good girl in college. Engaged senior year, married the next. Rule follower. Too nice people pleaser. Over the last couple of years my idea of the good girl has definitely evolved but I still have some work to do! Can't wait to start reading & learning. 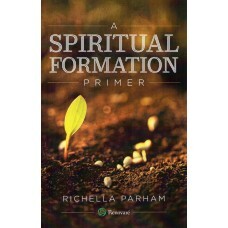 I have even passed the link for the book along to some church and school friends. No wonder I'm so grumpy all the time. Trying to be perfect is hard work! Would love to read this book. Thanks for the giveaway! Great giveaway - can't wait to read this book as I empathize with the good girl thing. I am that good girl.Always trying my best but feeling inadequate? I'd love to win this book, and it's on my list of gifts to give for Christmas this year! I had a similar upbringing, and I was always the good girl, too. Though I must admit, in college I once gave someone my id card to swipe so I could skip chapel! I'd love to win this book. Thanks for the giveaway, Richella! I need this book. I really hope I win! I feel like I could use this book right now. Thanks so much! Oh, wow. I often feel so much guilt from 40 years of "good girl". I was called "miss perfect" in middle school and hated it. I wasn't. I'm not. I would love to read this book - have never heard of it but it strikes a cord with me. Tired, good girl right here.